Snowmobiling is in full stride around the world and now is the time for snowmobilers to keep snowmobile safety a top-of-mind awareness issue. Snowmobile safety is nothing new to organized snowmobiling. Snowmobile Administrators, the Manufacturers, snowmobile associations and clubs joined together years ago in developing the Safe Riders! You make snowmobiling safe safety campaign which brought safe snowmobiling practices, training and enforcement to a new level. The Safe Riders! campaign, designed by snowmobilers for snowmobilers is financially supported by the snowmobile manufacturers. The campaign includes safety related materials such as decals, posters, the Safe Riders! DVD, public service announcements, and more. Millions of Safe Riders! Snowmobiling Fact Books and posters have been distributed throughout the world to safety trainers and clubs and associations – free of charge- from the manufacturers’ ISMA office. Thousands of the Safe Riders! You make snowmobiling safe 22-minute safety DVDs have been sent to safety trainers and safety minded snowmobilers worldwide. The DVD is an excellent adjunct tool for snowmobile safety classes. 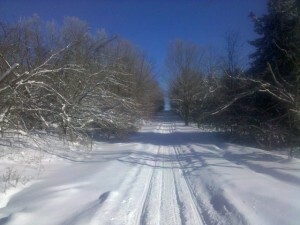 They are available by contacting the ISMA Office through our web site www.snowmobile.org. This year, International Snowmobile Safety Week is January 13-19, 2008. A Safety Week Manual has been designed to give clubs and associations guidance in how to plan and hold safety programs. The Safety Week Manual can be downloaded from the ISMA Web site www.snowmobile.org. The campaign is only as good as the instructors and the support received from the community. Thankfully the instructor base is expanding and the support of government and enforcement officials is exceptional. Recreational snowmobiling has become the winter recreation lifestyle choice for millions of families worldwide. We encourage all snowmobilers to take a minute and make safety a top-of-mind awareness issue. Familiarize yourself with your snowmobile and the area that you will be riding, dress properly, and follow the above mentioned campaign guidelines. Please remember if you would like any of the Safe Riders! posters, decals, fact books or the safety DVD please visit www.snowmobile.org and let us know.